Finding ways to improve your employee engagement model can often be a trying process. You've probably been spending countless hours looking for the perfect solution, yet you come up empty-handed time and time again. It can seem impossible at times to fix issues that are getting in the way of performance and productivity, yet giving up is never an option if you're looking to push your business forward. In many ways, the most effective vehicle today for improving employee engagement is social intranet software. Social intranet software, like Communifire, brings together everything your organization needs in order to help your employees engage in their work in as efficient a manner as possible, all the while streamlining businesses processes at the same time. Implementing collaboration tools is easier than many people think, and the benefits that come along with doing so are countless. In order to get a better understanding of how Communifire increases employee engagement, it's important to take a look at the many features inherent in the software. Once you understand the benefits, it'll be clear as to just how important a platform like Communifire can be to pushing your business in a new direction and taking employee engagement to the next level. One of the main reasons why many employees suffer from low levels of engagement is because they simply don't know what's going on within their company. Keeping up with recent changes can be difficult, after all, especially for those who find themselves knee-deep in work all the time. When one loses focus on what's happening in the community, it can only be expected that their engagement levels will begin to steadily fall. If this is allowed to continue, the results can be quite disastrous. When you log into Communifire, you're presented with a rundown of all the new things you need to know about what's happening in the virtual community. This is referred to as an "activity stream," and it helps to ensure that all of your employees are on the same page regarding current projects and tasks. 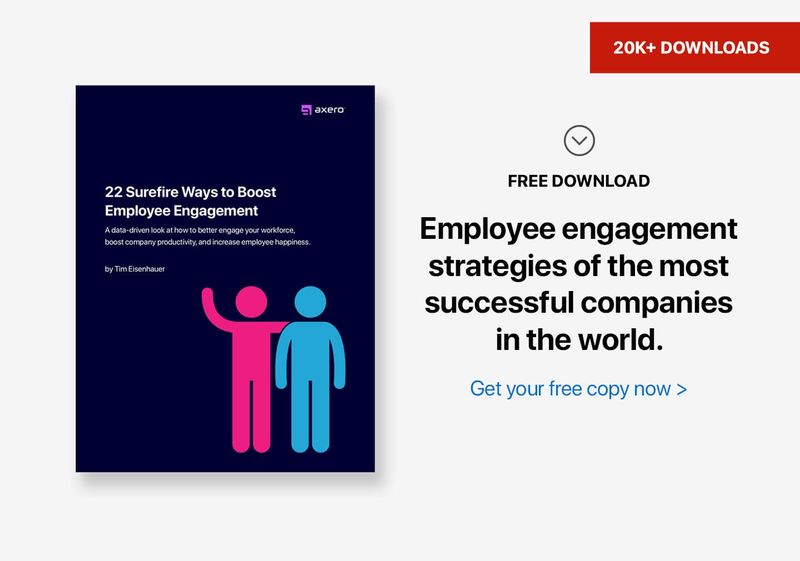 Activity streams, then, bring employee engagement to the front line, taking all of the guesswork out of the process and making life just a little bit easier for everyone in your organization. Activity streams can be very helpful for keeping people aware of what's happening in your virtual space, but sometimes it's important to have real-time updates on your side. Every once in a while, a project may demand one's immediate attention, and knowing what needs to be done as soon as possible can be a major help. Without this type of information at your employees' fingertips, they may not be aware of what needs to be handled and viewed as a priority. Communifire offers a notification system that keeps everyone fully-updated on the projects they're working on, in absolutel real-time. It can be viewed similar to notification systems that are part of popular social media networks, which are essential for keeping up with a large community. Once a notification is sent, it will always be there for you and your staff so that your employees can handle necessary tasks in the order that they're received. Communication is of the utmost importance when it comes to keeping engagement levels high, yet communication breakdown happens to be one of the biggest problems in business. When your employees are exposed to too much information at once or are dealing with a number of different vehicles for communication (like email rat holes), it can only be expected that things will fall through the cracks at one point or another. Having a well-built messaging system on your side is essential. With Communifire's private and group messaging system, you won't have to worry about juggling a number of different conversations across platforms ever again. You and your employees can use the system to see who happens to be online at the moment and communicate with them in real-time, whether it be in the form of a group message or a note for a specific individual. Everything is archived, so there's no need to worry about things getting lost in the mix. Multitasking has become one of the most important skills that modern professionals can have. Many employees find themselves trying to handle a number of different tasks at the same time, to the point where confusion over what needs to be done and in what order can be quite overwhelming. Having a robust task management system on one's side is extremely important, as otherwise, mixups will no doubt occur. Communifire's task management system helps you and your staff to keep track of what's due, when it's due and who is in charge of getting the job done. Projects can be managed in a number of ways, broken down into phases, due dates and more. When properly used, the task management system in Communifire can be one of the most powerful tools your staff can have at their disposal, and the effects it can have on engagement levels can be enormous. For busy professionals, being able to keep up with due dates, meetings, events and otherwise is the difference between finding success and falling behind. Calendars have been used since the dawn of business, but today's virtual calendars are far more efficient and helpful than those of the past. Personal and shared calendars are tools that no company should go without embracing, especially those who are looking to push forward into the new era of business. The calendar system in Communifire provides everything your organization needs to ensure that no meeting is ever missed again. You can use personal and shared calendars to keep track of events, manage goals, schedule important meetings and invite others in your organization to particular happenings. Sharing your calendars with others also helps everyone to know exactly where you'll be and at what time, which means you won't have to worry about double-booking or other potential scheduling pitfalls when everyone is utilizing calendars to their full effect. Always remember — an engaged employee is one who is free of confusion, and calendars help to make it happen. Customer service is one of the most important things that any business can focus on, and there's no getting around how much of an impact it can have on the health of an organization. When you have employees on your team that are less than engaged in their work, customer service can quickly fall by the wayside. The result is an unimpressed audience of individuals that may end up leaving and working with another organization, and no manager or CEO wants this for their business. With Communifire's issue & case tracking system, employees remain engaged in the tasks at hand, which will help to keep your customers happy at all times. All customer issues can be tracked and kept in order, allowing your employees to tackle important questions in a succinct manner. Faster and better customer service, then, is a given when the issue & case tracking system is being utilized. Discussions make the world go ‘round, and the same can be said for businesses. Well-organized discussions can lead to a number of things, ranging from better and more effective solutions, a more productive workforce and more. Forums are certainly not hard to find all over the Internet, but there's no substitute for having your own personal discussion forums that can be accessed only be members of your organization. And Communifire not only give you a place where these discussions can be started, it integrates it with all of the other tools in the platform ... giving you one unified location to get work done. Creating discussions in Communifire can be done with the simple click of a button, in the same way that most people who have contributed ideas to Internet forums for years are used to. You can start a discussion, engage in one that is already happening and invite others to weigh-in on a pressing issue. It's one of the most old-school ways to utilize the Internet, and it remains extremely important in Communifire. Ideas are like water, and they'll only flow when the right pathway is created. When things get in the way of the creation of ideas, things tend to come to a halt. No business deserves to deal with a lack of good ideas, yet it happens more often than most people would like to admit. Fortunately, Communifire serves as an excellent platform for creating ideas and bringing seeds of thought to the next level. With Communifire on your side, you can source thoughts and opinions from your staff, your customers, and even your vendors. Then everyone votes them up or down, giving you real, true, and honest feedback. This gives everyone their very own platform, which in turn leads to a more engaged staff that can help to drive your business forward. After all, finding solutions to tough problems is the name of the game for forward-thinking businesses, and there's no way to do so without having a wealth of great ideas at your disposal. Keeping people within your business (as well as those outside your business) up to date with the latest happenings is something that should never be overlooked, yet it's been quite difficult for many companies to bring all of this information together in a single space in the past. Fortunately, social intranet software provides the perfect platform for doing so, which in turn leads to more engagement across the board. Communifire allows you and your staff to share articles, news stories, press releases, formal documentation and other information with ease and effectiveness ... both inside your company and to others across the Internet. This helps to ensure that your writings are getting as much exposure as possible, which can also help to build your audience and customer base. The importance of blogging simply cannot be overlooked at this point in time. A well-constructed blog post can bring thousands of news sets of eyes to your website, resulting in new business and a more substantial web presence for you business. It can also help to engage your employees, as allowing them to write blog posts will give them a platform to speak from that they might not otherwise have access to. The blogging platform that is part of Communifire is up there are as being one of the best available, rivaling some of the major players on the web. Would you actually consider using an open-source platform internally? Do you really want to have to install 30 different plugins to get the functionality you need ... when instead you can get it all built into one platform? You can use Communifire's blogging platform to open a channel for your staff, the general public and everyone in between to communicate ideas and encourage the sharing of opinions. After all, there's no better vehicle for moving forward than the art of discussion, and with Communifire on your side, it's easier than ever. Your employees need to know that they'll always have access to crucial files and documentation that is necessary to getting the job done, yet this gets overlooked more often than most people would like to admit. Having a well-built document management system at one's access is extremely important, yet many companies are still stuck in the stone age and would prefer to trade information back and forth via USB sticks and other methods. When files go missing, frustration typically results, and engagement levels begin to fall. Document management is a major part of the Communifire suite, and it's done right, the modern way ... allowing your employees to upload, manage and organize essential files whenever they're logged into the system. As files and documents get uploaded, they also become collaborative, allowing you and your staff to comment, "like" and rate them as they see fit. As anyone who has used archaic document management systems knows, this can basically be viewed as a first, and it's just one of the many things that sets Communifire apart from the competition. Alienation can have a dramatically negative effect on employee engagement, yet it's becoming one of the more common problems in today's professional world. This is especially true in organizations that employ hundreds of individuals, in which case getting to know each other can be a very difficult process. When your employees lose sight of how important it is to form relationships with one another, however, no one in the organization wins. In the case of having an extremely large staff working under you, social intranet software becomes a relative necessity. Each of your employees in Communifire is given his or her very own profile, which can serve as a visual and written representation of who the person is and what they have to contribute. Skills can be listed, personal hobbies and other useful information. The result is a more cohesive community, which helps to keep engagement levels high. Employee engagement issues aren't always easy to fix, but having the right tools on your side can be a huge help. Once you experience the benefits of Communifire, you'll wonder how your organization ever got by without social intranet software in the past.